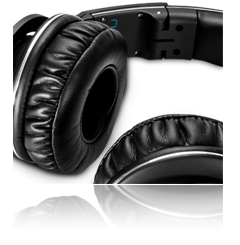 Reloop’s premium headphones offer an outstandingly powerful sound performance in an incredibly sturdy and stylish housing. Thanks to their sophisticated construction, which is optimized for DJs and the demanding environments they find themselves in, the RHP-30 headphones can be both stylish and reliable. The minimalist design features high-quality components and thanks to the high output, along with the transparent and bass-driven sound characteristics, the RHP-30 allows user to enjoy smooth mixing, clean productions and complete listening pleasure. Reloop have devoted special attention to the RHP-30's drivers, which cleanly separate frequencies and deliver a complete, balanced and powerful sound - perfect for loud club surroundings. The transparent resolution in the high-frequency range caters for dynamics and enables accurate, transparent and encompassing sound reproduction of the whole sound spectrum. 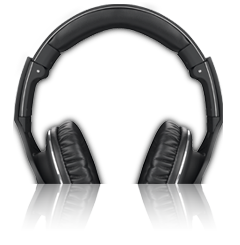 That is why the RHP-30 headphones can also hold their own when it comes to studio and home use applications.